Joan Mae Fitzpatrick Cole, born March 12, 1934 in Waterbury, CT and passed away peacefully, at home, on July 14, 2018 at the age of 84. She was the wife of Donald E. Cole. Married in 1960, Joan and Donald made their home in Woodbury for their entire married life. She was a graduate of Morris High School, Class of 1952. In her younger years, Joan worked in Waterbury, CT at the Front Page restaurant and the First Federal Bank. She loved sports and was a fan of the New York Yankees, UCONN Huskies Basketball, Nonnewaug High School Baseball and Basketball. 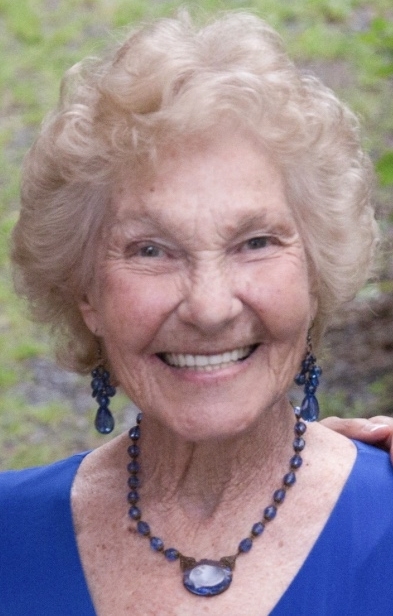 She loved NASCAR, fishing, bowling, Rugby and Triathlon and was a respected member of the Antiques community. Joan loved to travel with her husband all across the United States and to the Caribbean. Joan was a member of the First Congregational Church of Woodbury and volunteered at the church's Red Barn Thrift Shop where she made many friends. Joan was the beloved mother of Donald E. Cole II, and Joanne Cole and her husband William Lake. She was the cherished grandmother of James Kimberly and his wife Kelly, Melissa Madzek, John Smarz and Derick Smarz. She was blessed with two beautiful great-grandchildren, Raven Murphy and Jackson Kimberly. In addition to her immediate family Joan is survived by her sisters Mary Wescott and Joyce Melaragno and her husband Pasquale, and her brother Terry Fitzpatrick and his wife Beth. She is predeceased by her brothers John and James Fitzpatrick, her son James Cole and her grandson Darin Smarz. She had lifelong friendships with many of her cousins. Joan lived life to the fullest, and was never happier than when she was with her family. A private, graveside service will take place at the New North Cemetery. A reception for friends and family will be held at The Curtis House, Woodbury Ct. at 12:00 on Sunday July 22. In lieu of flowers, donations may be made to First Congregational Church of Woodbury.